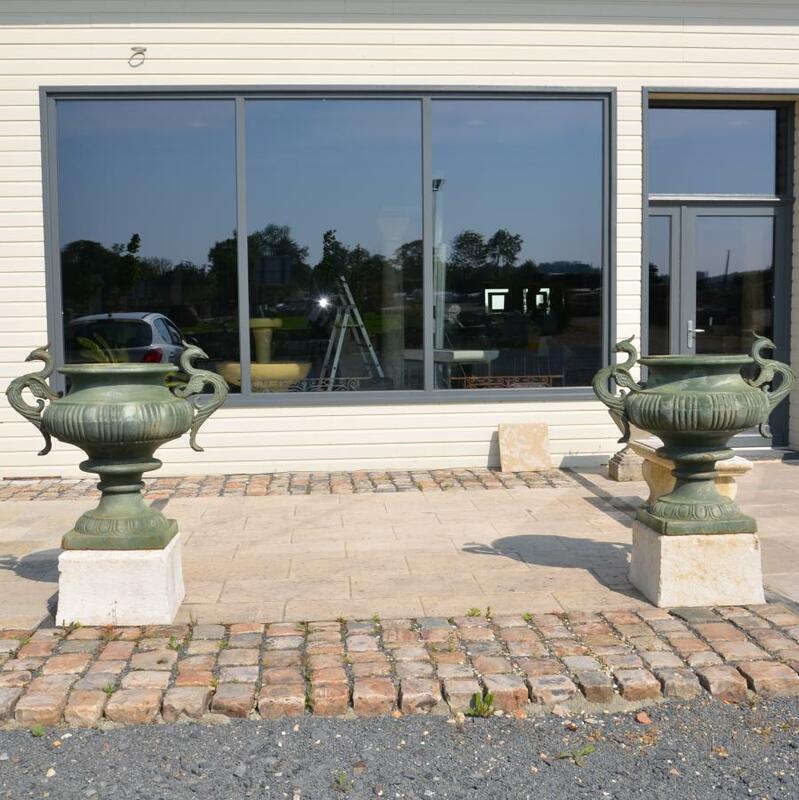 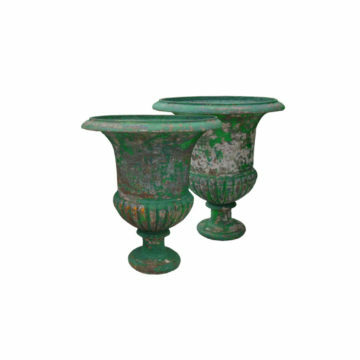 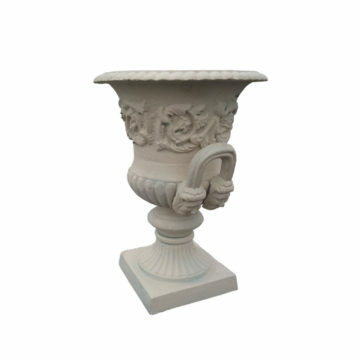 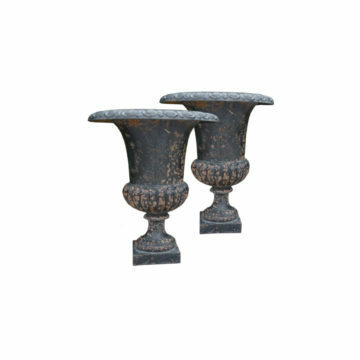 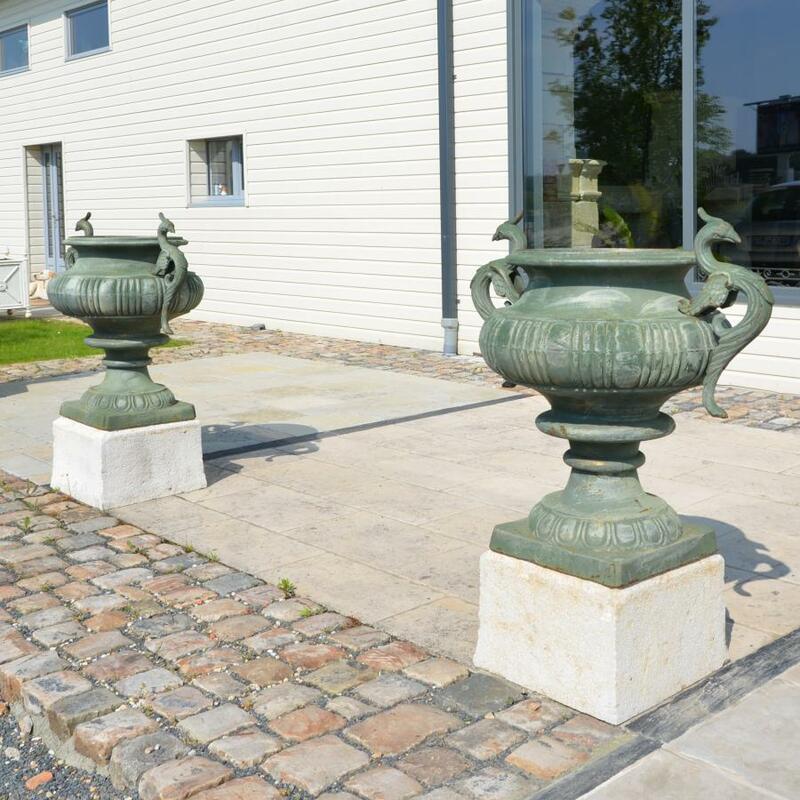 New but weathered “bird” cast iron urns, on French limestone bases. 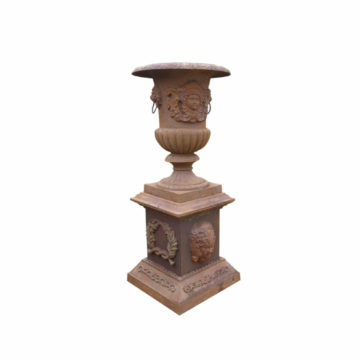 Dimensions : overall height with base 111cm (44 inches). 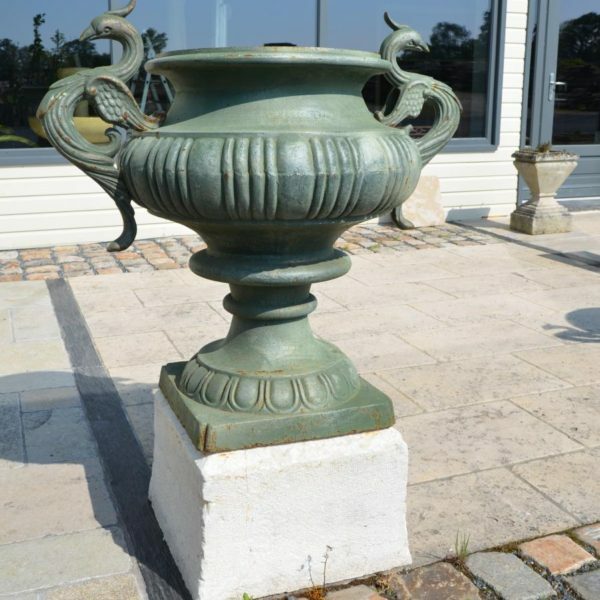 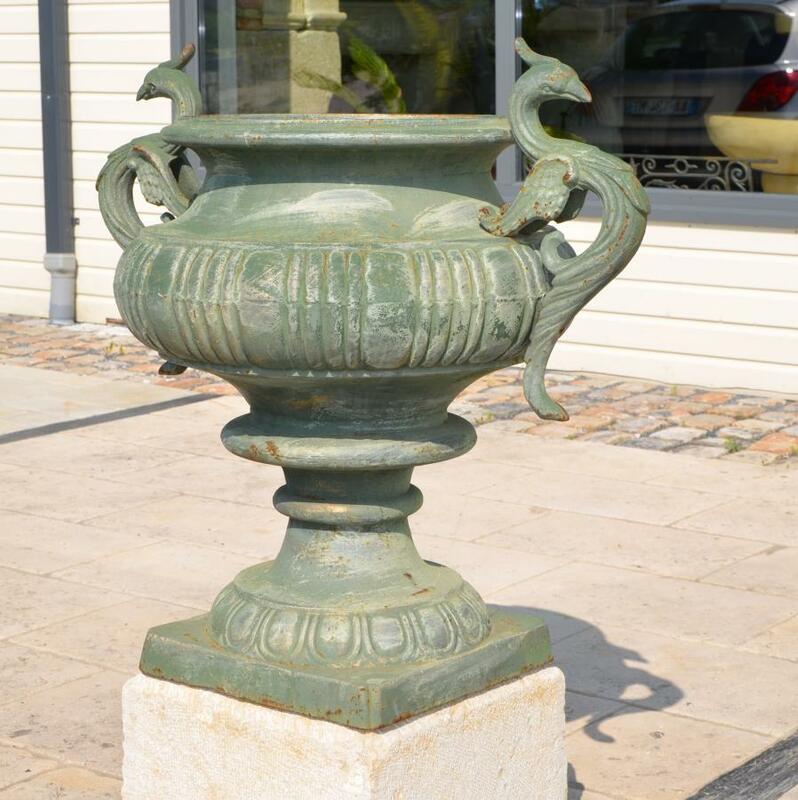 Urn height 90cm (33.5inches) x diameter 67cm (26.5 inches) and overall width 98cm (38.5inches).